A polar bear eats a piece of whale meat as it walks along the shore of Hudson Bay near Churchill, Man. Critics of intelligent design in the little world of anti-ID blogging have fastened onto an exciting meme. The idea is that biochemist Michael Behe made egregious errors about polar bears in Darwin Devolves and in his subsequent posts at Evolution News arguing with critics. Scientists including Nathan Lents, Arthur Hunt, Jerry Coyne, Joshua Swamidass, and Richard Lenski have been promoting this meme. They complain that Behe refuses to acknowledge and retract his errors. Of course, real errors should be corrected, whether by Behe or anyone else. However, a closer look shows that Behe’s arguments are essentially correct, and no retractions are needed. The story is a bit long and complex. That’s good, though. Let’s take the opportunity to hold an informal seminar from which it’s hoped that the critics will learn and benefit. Starting today, you’re invited to sit back and enjoy a five-part series on polar bear genes in light of Behe’s thesis in Darwin Devolves. The polar bear’s most strongly selected mutations – and thus the most important for its survival – occurred in a gene dubbed APOB, which is involved in fat metabolism in mammals, including humans. That itself is not surprising, since the diet of polar bears contains a very large proportion of fat (much higher than in the diet of brown bears) from seal blubber, so we might expect metabolic changes were needed to accommodate it. But what precisely did the changes in polar bear APOB do to it compared to that of other mammals? When the same gene is mutated in humans or mice, studies show it frequently leads to high levels of cholesterol and heart disease. 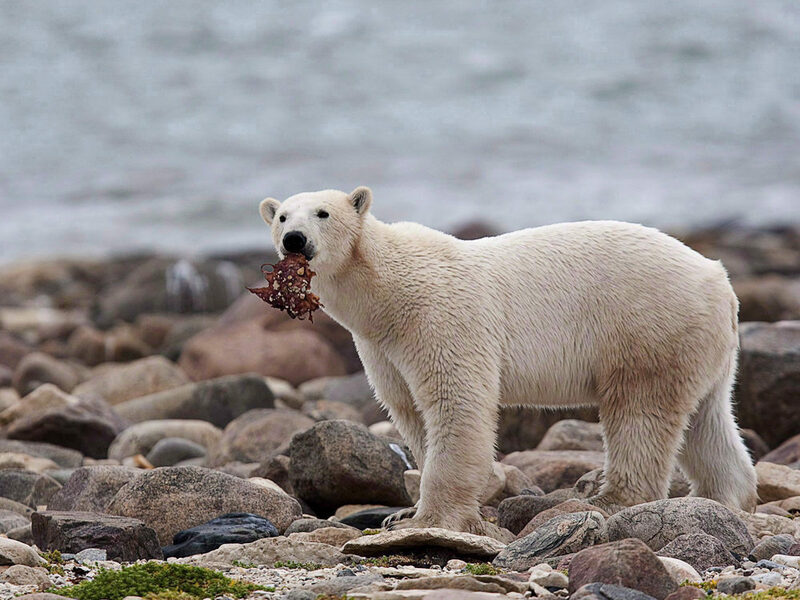 The scientists who studied the polar bear’s genome detected multiple mutations in APOB. Since few experiments can be done with grumpy polar bears, they analyzed the changes by computer. They determined that the mutations were very likely to be damaging – that is, likely to degrade or destroy the function of the protein that the gene codes for. Citations 1 and 2 here are both to Liu et al. (2014), and citation 2 is specifically to their Table S7. Everything Behe says in these paragraphs is exactly correct in light of the data and conclusions presented by that paper – except, that is, for one issue that is the most trivial of errors and has zero effect on Behe’s argument. Don’t worry, critics, we’ll get to that toward the end of the series. But you’re going to be disappointed because it isn’t the sort of big error that Lents and Hunt and the rest are demanding that Behe retract. In fact, it is so small that they admit they hardly care about it. The objections from anti-ID bloggers started on February 12, Darwin Day, when biologists Nathan Lents and Arthur Hunt co-authored a post on Lents’s Human Evolution blog. This was the same day Lents published a highly inaccurate article at Adventures in Poor Taste which fundamentally misrepresented Behe’s most basic arguments about the origin of chloroquine resistance, made in his previous book The Edge of Evolution. More on that later in the series, too. Lents and Hunt made two main objections, both of which argue that polar bear genes weren’t as damaged by mutations as Behe claimed. This series will evaluate their two objections. It turns out that it is Behe’s conclusions, not those of his critics, that most closely followed the conclusions and methodology of Liu et al. (2014). Behe wrote a reply to Lents and Hunt which we’re going to discuss as well. It will be seen that the chart Behe posted was entirely fair and reasonable, and was missing no data at all that challenges his thesis. After Lents and Hunt, Richard Lenski also wrote a couple of replies to Behe, including one that questioned whether the polar bear genes were really damaged at all. Behe replied to Lenski, too. We’re going to evaluate these objections in more detail and see that the best evidence available indicates polar bear genes became adapted by fixing many mutations that were probably damaging.